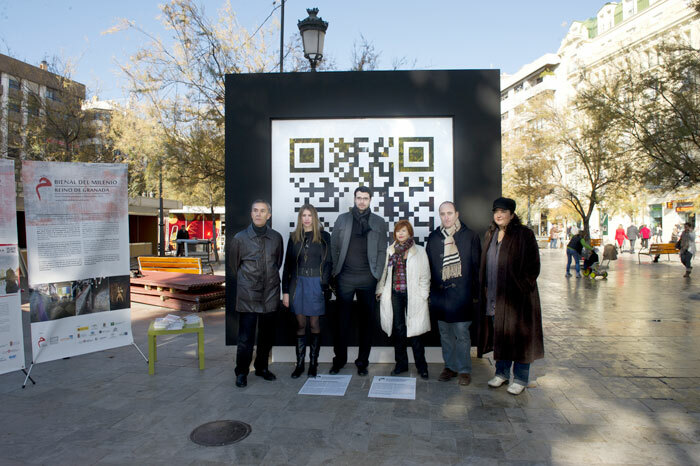 The artists, a museologist specialising in new technologies and an architect, have designed a project which combines art and technology to create a piece in which various levels of information exist together and in which art is within the work of art. 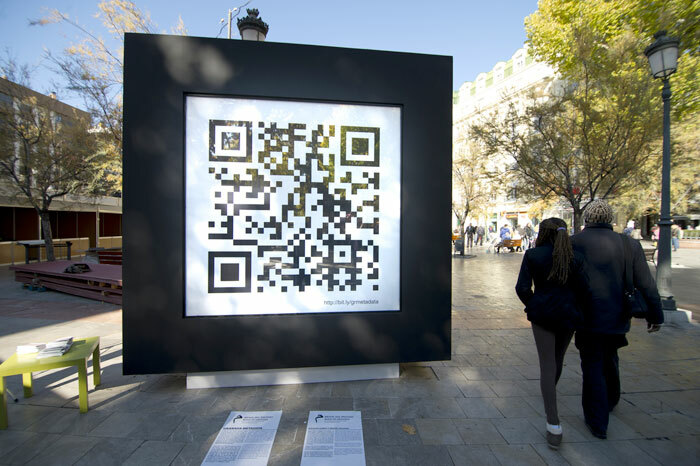 It will be a piece which shows, on one side, a large two-dimensional Quick Response type code, and on the other a planimetry showing the itinerary of the Biennale. 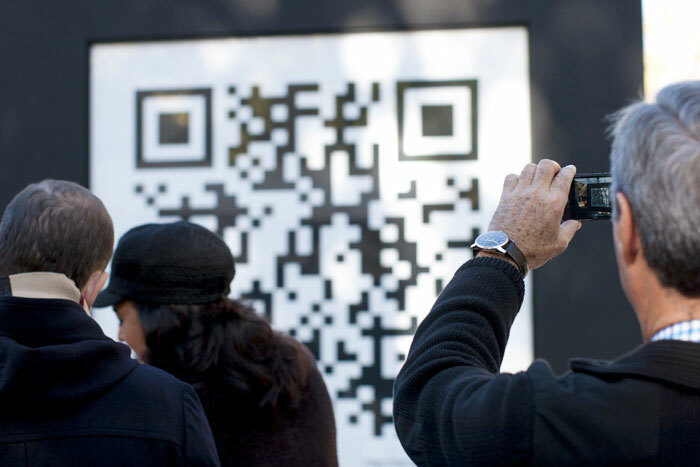 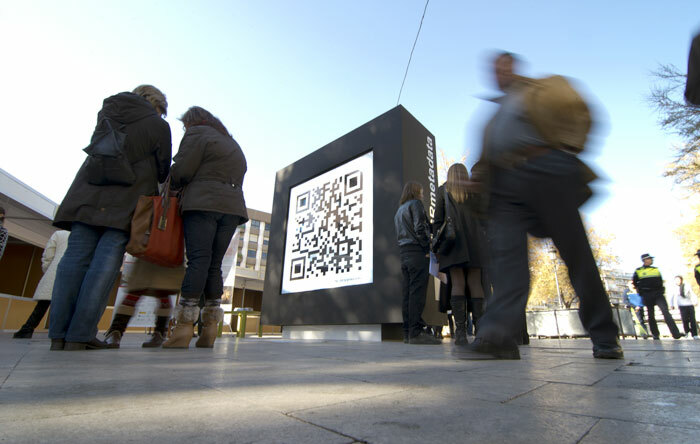 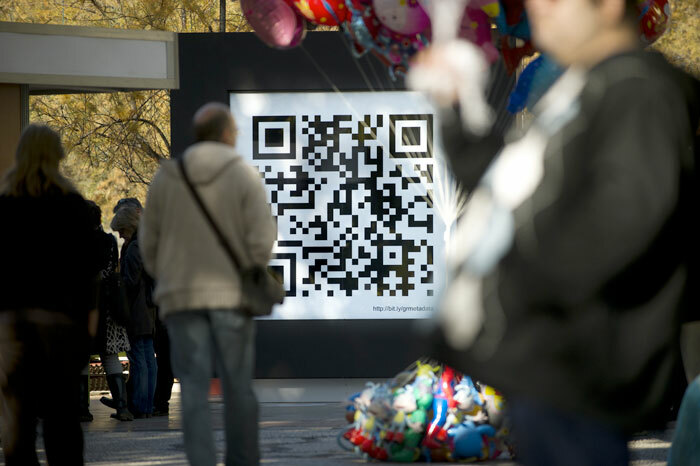 The platform of the QR code is, simultaneously, a piece of art and an element containing information which can be downloaded to mobile phones. 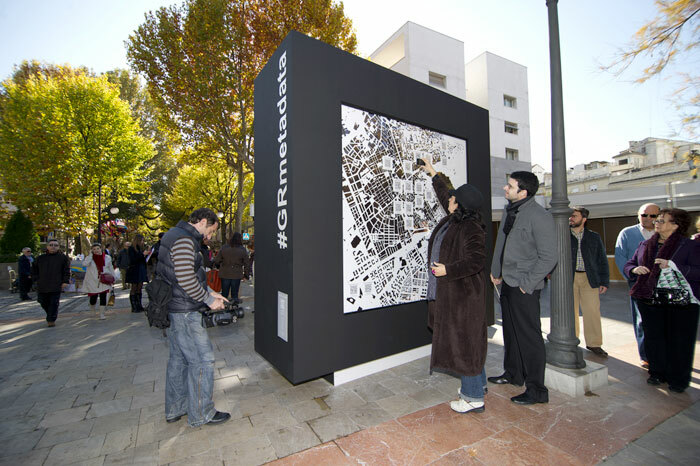 GRANADA METADATA: making of from Bienal del Milenio de Granada on Vimeo.